Danny Iny was a self-described “goodie two shoes” for the first fourteen years of his life. Until the age of 15, when he suddenly lost interest in school, missed 152 days of classes and then convinced his parents to let him drop out in the middle of ninth-grade so he could start a business. Leaving him down — but not out. In essence, he discovered the magic of how to “Teach and Grow Rich” and has since helped thousands of other people do the same. How he finally lit the match, made things simple and became one of the world leaders in the online education and marketing space. Thefour kindsof “educator entrepreneurs” that exist…and how to determine which one you are. How Dannyconvinced his parents to let him drop out of school at 15…. and why he’s completely fine if his own kids choose the same path (starting with first grade). Whystepping into difficult situations (that you’d rather avoid) will ultimately make youbetter in every way possible… and how he had to do this recently. What the two contradictory and unsustainable business models(that destroy manyentrepreneurs) are… and how to “straddle” them both for success. What the “Teach and Grow Rich Opportunity” is… and the super simple steps you need to take to harness it. We’ll cover all of that (and a lot more) in this exclusive interview withDanny Inyin Episode #11! I read a quote by you that said “When life gives you lemons, make lemonade, and sometimes, that’s not so practical. The best thing you can do is start putting one foot in front of the other.” How did you apply this to the failures you saw in your own business? You started Firepole Marketing in 2011 as a high school dropout, with no online marketing experience, no connections, a hard breakup and $250,000 of debt. How were you able to overcome these major obstacles in your life? Sometimes humans tend to overcomplicate the process. Why do you think people have so much aversion to the “simple” approach? Usually an idea becomes a book proposal, that eventually leads to a deal with a publisher. Drafts are written, edited, and revised, and if all goes well, a book appears on the shelves 12-18 months later. But that’s not what happened with your book Teach and Grow Rich is it? Walk us through the interesting journey from idea to the 2nd edition. 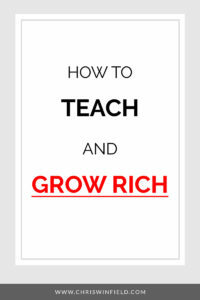 In your new book Teach and Grow Rich, you lay out an opportunity that is reshaping the online business landscape. You also highlight how it “straddles” two contradictory business models: a paradigm of information, and a paradigm of education and why this is unsustainable. Can you explain what this means? How failure after failure will eventually lead to success… IF you’re willing to overcome adversity and persevere through the biggest obstacles life throws in your direction. How stepping into difficult situations that you’d rather avoid will ultimately make youbetter in every way possible. Why an unwillingness to take imperfect action is the BIGGEST reason you’re not moving forward! The two contradictory and unsustainable business models that will leave most entrepreneurs in the dust! The 4 different kinds of educators and why each type has a unique path to success. Danny first started getting noticed in the online marketing world for his prolific guest posting (80+ guest posts in 2011, which earned him the title “The Freddy Krueger of Blogging”) – which eventually became the inspiration of his critically acclaimed guest posting training, called Write Like Freddy. 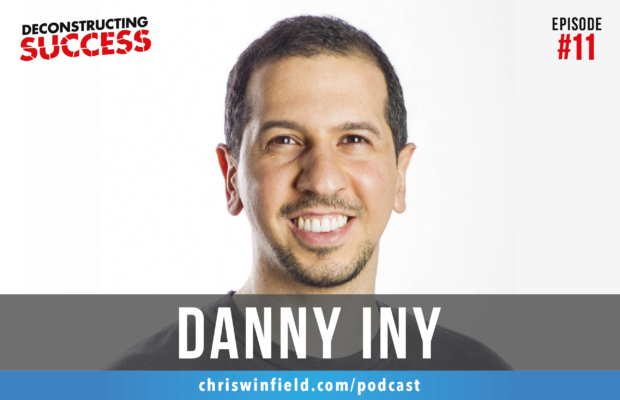 Danny is the host of the Business Reimagined podcast. He is the creator of the acclaimed Audience Business Masterclass and theCourse Builder’s Laboratory training programs, which have together graduated over 5,000 value-driven online entrepreneurs. 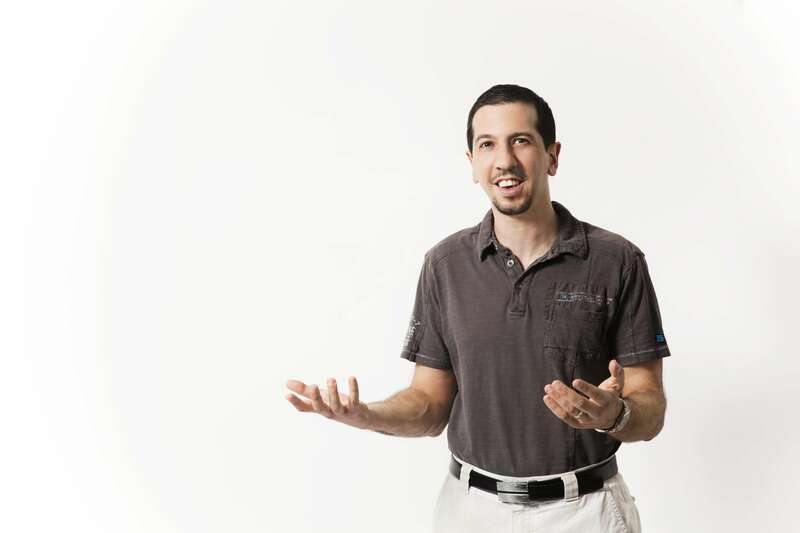 In 2011, Danny started Firepole Marketing with over a quarter million dollars in personal debt, left over from his last failed startup. In just a few short years, he’s transformed Firepole Marketing into Mirasee and grew the business to multiple-seven figures in revenue. [0:03:15] Chris: Danny, thank you so much for taking time out of a very, very busy schedule to be here with us today. Thanks. [0:03:22] Danny: Chris, it is absolutely my pleasure. Thank you for inviting me to be here. This is going to be a lot of fun. [0:03:26] Chris: Definitely. So, you have a really interesting story. And just for my audience, Danny is one of these people that I’ve heard about. And multiple, multiple people have told me, “You’ve got to meet Danny. You’ve got to talk to Danny.” And it was one of the things that I wanted to do for this year, even before somebody reached out to me. And we just kind of got hooked up. So the interesting thing though, Danny, was that I found so much extra info and extra things that go into your story. And it’s actually perfect for this show. So let’s just jump into it. So you became an entrepreneur at a really, really young age. I want to just back up. So where did you grow up? What was it like growing up? [0:04:05] Danny: Yeah. So I was born in Montreal. The back, back story is that my grandparents on both sides grew up in Baghdad. It’s an Iraqi-Jewish family. And in the late ’40s – early ’50s, a lot of Jewish people had to leave the Middle East, especially Iraq. And so my mom’s parents moved to Israel. And my dad’s parents moved to Montreal. He was born here, grew up, went to Israel. And then my mom brought her back to Montreal. They got married, have three kids. And that’s where I lived for the first almost 13 years of my life. Until my parents split up. And my mom went to go back to Israel. So my dad moved as well to keep us all together. They live like a 10 minute walk apart and have a fantastic divorce, much better than their marriage. And yes, I moved to Israel when I was 13 and lived there for eight years before moving back to Montreal. And, of course, there are a lot of details that we can dig into in those 21 years. [0:04:54] Chris: Right. So how much of that with your grandparents, how much did that influence your life in terms of the trying circumstances — I guess, would be an understatement — was that something you felt or was that something that you recognized from an early age? [0:05:09] Danny: It’s a hard question to answer because I lack a frame of reference. I don’t know what life could have been like under different circumstances. I only know what my life was like. I do know that there’s a pattern. This has certainly not been the experience of everyone. And I’m fortunate on a lot of levels. But when my grandparents had to leave the Middle East, it was a wealthy family as many Jewish families in the Middle East were at the time. And through a variety of legislation and circumstances, they essentially could take nothing with them. So they left and they had to start from scratch. And part of it is personality. I’m sure part of it is very much circumstance. So that’s a context that lends itself very much to entrepreneurship. There’s a reason why entrepreneurship is over-represented in immigrant families. And the more generations down you go, the less that is the case. Because as an immigrant, you just have to be scrappier. You have to be more resourceful. I’d say a lot of my family is entrepreneurial. And if you go two generations up, absolutely. If you go one generation up, several of my uncles and aunts are entrepreneurs, especially in my dad’s side. My father is very, very much not an entrepreneur. He has the temperament of an accountant. It absolutely skipped a generations. But, yeah, you asked a really interesting question at the start. You said, “What age did you become an entrepreneur?”, choose to kind of transition to that. And, to me, it wasn’t an active choice like that. I think a lot of people conceptualized entrepreneurship as an alternative life path. Whereas, for me, it was the default life path, not because of my context, just because of my personality. It’s interesting. I’ve been an entrepreneur since I was a teenager. I quit school when I was 15 to start my first business. And I didn’t actually think of myself as an entrepreneur until I was in my 20s, like a decade later. It just never occurred to me. I was never being an entrepreneur. This was a project I was working on. [0:06:59] Chris: It was no different than being from Canada or being from Israel or being Jewish. It was just that’s who you were, right? [0:07:05] Danny: Well, it’s who I was. And it was what I was doing. I’ve always been a very project-oriented person. When I was a kid around Halloween, a project would be making my own costumes because I loved that. As a child, I used to play Dungeons & Dragons, and so designing worlds and stuff. And so starting a business happened to be the latest project. That it didn’t kind of transition in my identity. These projects are now what define. This was my current project. And they are there now, but it took a long time for me to even realize the label applied to me. [0:07:36] Chris: Right. So let’s back up then. I was reading somewhere and you were saying that you were this stereotypical goody two-shoes little kid up until about 7th to 8th grade. So you were the kid that would raise your hand and say, “I think you forgot to assign homework to us” or you always had your homework done. [0:07:53] Danny: Well, I wouldn’t do that. But I always had the homework done. And I was the kid who had straight A grades. And that was me. I was the nerdiest kid in the class. [0:08:01] Chris: Gotcha. And then you get into 9th grade. And something just switches. And all of a sudden, you’re bored? So how old? Were you 14 or 15 at that point? [0:08:10] Danny: I was 14, I guess, at that point. [0:08:12] Chris: So you had like a “white light” moment almost at that point? So can you kind of walk through that, what happened? [0:08:18] Danny: Yeah. I was really, all of a sudden, I was in high school. And I was just really bored. And so, I started cutting classes. And the pattern was I didn’t really show like going to school. And I wanted to do whatever. I don’t know. I wasn’t doing anything important. I was watching MTV and going to the gym. But I wanted to do that rather than go to school. So I missed a few classes. And I came back to class, a few days later or whatever. And I’d get to the class. I’d be like, “But this is exactly where we were a week ago.” I feel like I’m still bored. [0:09:30] Chris: And then you decided I want to create a startup, right? Or had you been working on it already? [0:09:35] Danny: No. I was like, “I think I’m going to quit school and start my first business.” And at the time, it was not a big startup. I was just like, “Well, what can I do?” And I knew not a lot because I was 15 and didn’t know anything. [0:09:47] Chris: You’ve been watching MTV and going to the gym. So I decided I’d start a business building websites. And so, I quit school and started going down the street from store to store, asking, “Do you need a website?” And not even having the sophistication to realize that the clerk at the counter is not the person who makes that decision. [0:10:21] Chris: Before you get to that, I’m just curious how that conversation went with your parents, so especially based on your father sounds like mine in terms of completely entrepreneurial, very, very low tolerance for risk or anything. So how did that conversation go with your parents and how did they have, I guess the faith in you to allow you to do that. [0:10:45] Danny: It’s a great question. My dad was freaked out. He was not happy with me making this choice. Knowing him and knowing his temperament, this is one of those things where I look back. And I’m like, “How did this actually happen?” I don’t understand how he was able to stomach it at all. In the grand scheme of things, it really isn’t as impactful as people make it out to be. And that was her perspective. And her perspective was as long as I’m doing something worthwhile with my time, that’s fine. And I guess she got my dad to buy in. And it was still uncomfortable, but enough for me to go ahead and do it. And in hindsight, I think it’s one of the best decisions I made in my life. I got to experience and do so many things that I wouldn’t have otherwise. Yeah, it’s interesting. I have a daughter now who’s almost two years old. And my wife and I have very different opinions about what would be a suitable educational path for her. [0:11:58] Chris: Yeah, that was going to be one of my questions. So, let’s say she gets to seventh grade and she wants to one up you and instead of quitting in freshmen year, she’s going to quit in 7th grade. So what’s that conversation going to be like? [0:12:12] Danny: Wait and see, we’ll find out. But here’s my take on it: I don’t think school is bad categorically. I think there is variation in just the temperaments in needs of any student body. And it follows a bell curve. And I think people assume that school is designed for the majority of that bell curve. And it’s only the far outliers that don’t fit. So I’m open to the possibility that she is right in the middle of the bell curve that school’s optimized for. And I’m fine with that. But I’m also very fine with it not being the case. You said what if she one ups me and doesn’t want to go to school starting 7th grade? I have mixed feelings about the 1st grade. The compromise that my wife and I have kind of agreed on to start is that she goes to grade 1. And at the end of every year, basically, she has a decision to make as to whether she wants to go to school the next year or be homeschooled. And she can decide every year. And whatever she decides is going to stick because I think it’s also important for children to learn that decisions have consequences and they have real urgency in life. This may be a stupid plan, but it’s the best one I’ve come up with so far. [0:13:45] Chris: We think very similarly on this. But you also gave me some different context, so thank you. And we could probably talk about this for many, many hours. So I’m going to have to skip on. It is fascinating. So you started this business and how does it go? Now, this is the entrepreneurial personality. Because objectively speaking, I had no reason to believe that I could. I had none of the requisite skills. I did not know how to create graphics or write code. I knew nothing that would be an ingredient to actually do this. I was like, “I bet I could.” I don’t know how to do these things yet. But nothing here looks like it would be so complicated that I couldn’t figure it out. So we find the box of the game and get the company’s information. I called them up. And I get a meeting with the CEO. And this is one of those things where in hindsight, I’m like, ‘”How do they do that?” But at the time, it didn’t occur to me that it was a big deal. So I don’t know, it didn’t even register. So I go to this meeting, and I walk in. I’m 15 and a half at the time, right? So I walk into this meeting. I shake his hand. And I basically tell him, “I have a business proposition for you. I think I can build the games that you guys sell. And my mom has a degree in psychology.” So I tell him I’ve conferred with a psychologist. And in conclusion, that if you really want kids to learn, they need to be having fun and learning in the background rather than doing math exercises on the screen. Now, what he could have said is, “No kidding. I’ve been doing this for 10 years. Get out of my office.” But instead of that, I’m assuming in hindsight. This is probably “OK, here’s a kid who’s got some initiative. I want to encourage that.” So he opens a drawer. He pulls out a document. It’s in the bottom drawer underneath all this stuff. He blows on it. And like a cloud of dust flies off it. He says, “This is a script I wrote for a game eight years ago. Why don’t you build it and we’ll sell it.” And I told him, “Yes, that sounds like a great plan. Let’s do that.” And he asks, “How are you going to build it?” And this will give you a sense of how little I knew at the time. I had no technical skills, but I have a friend who knew Visual Basic. And I tell him, “I’ll build it in Visual Basic.” I figured my friend might be able to teach me. So we shake hands. I take the script. I go home. I open up Google, which is like brand new at the time. And I type in “What is Director?” And I worked on this game project for them for on and off like three years and restarted a bunch of times as like, you know, I made a bit of progress, started to learn skills by making a bit of progress, realized that everything I had done so far was crap and had to start over. And did this several times. And I worked on it for three years. And when I finally finished, I had a working prototype. I was like, “OK. Take a step back. Sit down. Play the game.” And I’m like, “This game is terrible! It’s awful! It’s so boring.” And so I basically scrapped it. The script was just not good. But I learned how to, at the time, build games. I learned how to think like a business owner. I did a bunch of contract work for the company as well. And I got paid for that. This was like my introduction to working in the field. And I’m still super grateful for the opportunity that I was given. [0:17:49] Chris: Now, is this what then became Maestro Reading? [0:17:55] Chris: OK. So the new book is called “Teach and Grow Rich”, which we’ll talk about in a minute. But in the book, your own Teach and Grow Rich story begins in 2008 when you create this startup, which is Maestro Reading. And it’s interesting because I’m trying to figure out, “Is this exactly what he’s talking about? It sounds similar.” So do you want to just get into that a little bit? [0:18:14] Danny: Yeah. So there’s about a five or six year gap. So this was my introduction to the world of educational technology. And in doing that, I got the idea in my head. I think I want to build my own game, not like somebody else’s game, somebody else’s script. I want to build my own game. And around when I was 21, so just as this project was trying to be sunsetted, I got the idea I think the game I’m going to build is going to be about Leonardo Da Vinci. And this is one of those things where it’s like, I don’t know why, I knew nothing about him at the time. But in my head, it just kind of fit. And so, the next three years which coincidentally, these are the years I spent in military service because I lived in Israel and it’s mandatory. I spent those years kind of in my off time studying Leonardo Da Vinci. And I really thought that I would get a bunch of books. And I’d read one that would be interesting. And I’d read the second, it would be interesting. But it would pretty quickly become boring and repetitive. But that’s research. That’s what you got to do. But actually, I totally fell in love with the subject and was totally fascinated. So I spent those years kind of learning the subject matter. And then in the following years after that, started building this game which is what eventually became Maestro Reading, which was a software platform to help children learn how to read. And we based it on some really interesting research that I eventually discovered. We raised a bunch of money. We built prototypes and models that the experts loved and the kids loved. We had some good early traction. But when it really comes down to it, I can say, you know, there was this challenge. That challenge. What it really comes down to is that I was a very young and inexperienced CEO. I was in my early 20s at the time. In what in hindsight is an incredibly complicated industry. The education industry is just very, very complex. There’s a lot of layering with educational approvals and school boards and districts and states, and provinces. And it’s really complicated. And all of that meant that things just were a lot harder and took a lot longer. And the timing was wrong. I was building this company. I was trying to see that kind of early traction that I’m kind of on the right track in 2007 – 2008. And then, in 2008, the markets crashed. And everything went to hell basically. And just as I kind of figured out what I need to change and how I needed to adapt in order to get to where we want to go with the business. We need to raise more money to do that. And that’s a reason I wouldn’t follow that outside capital model again. But the markets crashed right around then. There’s no money to be had. And the company just imploded all around me. [0:20:38] Chris: So it sounds like even before that though, there was a couple of fundamental issues that business also had that you point out. One that it was based more around what you thought the kids wanted. And you didn’t really asked your customers what they wanted. That was one issue, correct? [0:20:56] Danny: Again, I was a young and inexperienced CEO. If you ask me now, you want to build a program. You want to build a company. You want to build a product. My first question: who is the person who will give you money? What is going to make them want to do that? This is business 101 stuff. But I just didn’t have that perspective. At the time, I’m still very ideologically driven, just with a little more experience and perspective behind it. But I was very ideologically driven. As someone who dropped out of school who has largely been self-taught because I’m interested in things and I’ve read a lot of books. I found it heartbreaking, the extent to which literacy rates in the United States, Canada, globally are not only abysmal, but they’re also not very representative, because it’s not just the literacy status of how many people know how to read, there’s also stats around how many people do read. The majority of people in the US who graduate high school never read a book at all, like period, after graduating high school. And it’s a fine line in terms of what’s the difference between someone who cannot read and someone who never does read. And there’s a lot of reasons for that, but a lot of it is that many of the ways in which reading is taught and the timing and pacing of that make it sound like there’s a lot of negative bias and baggage. People associate reading with an unpleasant experience essentially. And so they don’t read for pleasure. They don’t read for curiosity. And that was very distressing to me. And that’s what I said I’d solve. Now, that’s a great reason to start a company. But that is not great logic around which to organize an offer that somebody is going to pay for. [0:22:32] Chris: Right. So that company implodes. And then you’re basically left trying to figure out what’s next. And I saw one quote where you said, you say, “When life gives you lemons, make lemonade. And sometimes, that’s not so practical. The best you can do is start putting one foot in front of the other.” This next period, that’s what it sounds like you did, in terms of just rebuilding your practice and getting kind of back to basics. Is that fair? [0:22:58] Danny: Yeah. I mean, I had bills to pay. I have to pay my rent. And I walked away from this experience about a quarter of a million dollars in personal debts. So I had to pay my rent. I had to buy groceries. I had to at least begin to service my debt. And so I was like, “Well, what can I do?” And this is where a lot of entrepreneurship stars. Necessity is the mother of everything. So I fell back on what I knew. And between different larger start-up projects, I’ve been doing kind of marketing and business consulting on a very small scale at the time. I will build your website or create your brochures. It was that sort of thing. And so I kind of fell back on that and started working with more clients, and really built a practice because I just had to do something. It’s actually interesting now that I think of it. If there was ever a time in my life when I might have stepped away from entrepreneurship. And been like, “OK, maybe this is just not worth. It’s just too high impact of a sport, I’m going to get a “real job”, that probably would have been the time. Because as any entrepreneur who’s experienced, who’s listing his knows. When you have a failure like that, it’s deeply devastating on a personal level. It feels like going through a really bad breakup. It’s just what you have. But the thing is that having all that debt, I did some quick back of the napkin math. And I was like, you know, remember, high school dropout, by the way. So not qualified very much. But if I were to get a job, I don’t know, $40,000 – $50,000 a year. Take out taxes, take out rent, take out groceries, minimally, right? Even if I’m living on peanut butter sandwiches, all the rest of that goes to service my debt. How long would it take before it’s all done? And I did some basic math. I was, OK, 67 years. It’s something crazy like that. I was like, “All right. Well, I’m in my 20s. I’m not ready for life to be over just yet. I guess I have to find something else that is not just “get a job.” And I’m super grateful, because I wouldn’t be where I am today if I had gone and gotten a job somewhere. [0:24:57] Chris: Yeah. And was there anything else that happened in terms of like a mindset shift, or I noticed that you, when I was doing research, you mentioned like Ralph Waldo Emerson and different thinkers, and the new book, “Teach and Grow Rich”, is obviously the influence in some way by “Think and Grow Rich”, by Napoleon Hill. And was there any discovery around this in terms of just changing your mindset, or was it just like, “All right. Let me just do the next right thing.” I’m curious what happened to kind of flip that switch, so to speak. [0:25:30] Danny: No, it was always just about kind of doing the next thing. This is my perspective. Some people might not agree. They might not agree. But I think there’s kind of a bias in a lot of our society of the mindset stuff is so important. And it is. It is critically important. But I feel like people take that the wrong way. I don’t feel confident. So I’ve got to do inner work and instead meditate or whatever until I feel confident. And then I’ll go out and do stuff. And it’s like, “No, because confidence born of self-talk is thin. It’s not substantial.” It’s going out and doing stuff even though you may be scared shitless. But you go out and you do stuff. And if you do enough stuff, you start learning and you start having successes. And then confidence comes from that experience. When I read about mindset, when I hear those quotes, it makes a lot of sense to me. But it makes a lot of sense because I’m using those ideas as a lens to interpret my experiences. I feel like if you try to get the mindset stuff fixed first, like I want to fix my mindset and then I’ll go do stuff in the world, then you’re always going to be sitting in your room waiting. [0:26:37] Chris: Agreed. I would actually agree with you. So, yeah. I think that it’s always about pushing yourself a little bit. I don’t think that you really can get the right thinking without just using a little tiny wins at least, and a lot of losses, for me, at least. So, yeah. I would agree with you. But I also think that combining the two makes it even more powerful, which is why I was curious with just seeing people, you mentioned Ralph Waldo Emerson or thinkers like that. And so I was just thinking that way. So it’s interesting. You start Firepole Marketing in 2011. And one thing I think is really important, you mentioned it. But eventually, this would become very successful for you. But at that point, you were a high school dropout, you had no real online marketing experience, no connections or relationships, and you’re $250,000 in debt, plus, probably a whole bunch of other things. I think you also were going through a bad breakup, and there. [0:27:35] Danny: When it rains, it pours. [0:27:37] Chris: Yeah, I agree. That’s usually how it works. It’s also really where you get tested. And I saw also where you’re talking about plot twists in life, that there’s no straight lines and all the detours. And I think that those are really, really important. Because for me, some of the most painful experiences, especially in business, were the greatest opportunities and the greatest learning experiences. [0:28:01] Danny: Absolutely. I agree 100%, in business and in life. The relationship I was in at the time, which ended very unpleasantly. I mean, that was all very difficult experience. And if I haven’t had that experience, I don’t know that I would have been in the right place to — not like physically, but mentally — to meet my wife and appreciate how wonderful she is. So I wouldn’t go back and change anything no matter how bad or difficult it was. Because who knows where I’d end up now. [0:28:29] Chris: Right. So you start Firepole Marketing. You begin working with clients. You begin writing. At some point, you decide to create an online course to teach aspiring entrepreneurs everything they needed to know. And it sounds like though, you kind of repeated the same mistake without even asking people, or do the research ahead of time, in terms of what they actually wanted. Is that right? [0:28:55] Danny: It’s absolutely right. It’s interesting because on the one hand, it seems so intuitive. I was working with clients, seeing what they need, so I know what they need. And even as I say it, that sounds arrogant to make that judgment. And yet, I felt that way. And honestly, I still feel that way. I’ve worked with enough people. I know what they need. So I might as well create a course and teach it. How better to save people from the horrible fate that awaits them, than to give them what I know they need. I’m throwing them a life raft. What better, more noble thing to do? Of course, I hadn’t just because I thought they need something, doesn’t mean they feel like they need it or want it. I didn’t work well at all. I’d love to say that I sat in a cabin in the woods one day and deduced the key to good marketing, which is giving people what they actually want, which is super simple, right? If you try to deduce that. But it happened very much by accident. I created this course and worked incredibly hard to deliver. Every mistake you can make, I made it. My dollars per hour on that project were probably like, 4 cents or something. I never did well, total flop. [0:31:06] Chris: I’ll take your money, yeah. [0:31:08] Danny: For a year, there was no link to this course on my website. [0:31:12] Chris: Oh my god. I get it. [0:31:14.1] Danny: I’m keeping this totally separate. This is not part of what I do in the world. It just kind of exist on the side. [0:31:20] Chris: Wow. And I understand completely. I get it 1,000 percent. I do the same thing. But is it, this over-inflated sense of importance that we have, or that people are like, “We have such a clear idea of who we are in our minds.” But where does that come from, like that aversion to things that are simple, that it’s right there? [0:31:41] Danny: I think there’s a lot of stuff going on there. There’s a lot of head trash that we bring to our lives. There is a perception that for something to be worthwhile, it should be hard. And there is some truth to that, you know. Not everything is worth doing is easy. But any meaningful path is going to have challenges on it. You don’t need to add challenges just for what? It’ll be hard enough on its own. You don’t have to make it worse. But I think there’s a lot of advice that is very contradictory. Entrepreneurs are told all the time to grade pieces of fortune cookie wisdom that are totally contradictory. Never give up and no when to quit. And it’s like, “Well, great. Thank you very much. That’s incredibly helpful.” And one of the things that is harped on a lot for entrepreneurs is this idea of you’ve got to have a big, bold vision. You’ve got to stick to it and believe in it and have the courage of your convictions, even if the rest of the world doesn’t. And there is some truth to that. When you have a vision that makes sense, you need to know where you’re driving to. But I also like the perspective of — I don’t remember who said this, but it’s not originally my idea — but that you want to have strong opinions, but be loosely attached to them. [0:32:49] Chris: I’ve heard that recently as well. I think it’s Derek Sivers. But, yeah, I love that. [0:32:53] Danny: And people are listening. You can Google it. It’s not an original Danny Iny quote. [0:32:58] Chris: I feel like I heard it, somebody else said the same thing. It wasn’t their original thing either. So that’s amazing. Everyone has been successful, has been successful with the help of others, right? You don’t lean on it unreasonably. But don’t spite yourself to get the results that you can. I think there’s a bit of that feeling. So it took a while. But at some point, because this is what people want and it’s actually creating the best results and greatest impact, and helping people the most. So it started taking on a life of its own. At some point, I was like, “OK, let’s be realistic. This is my business.” And it’s a good thing that this is my business, because this is the activity that I engage in that produces the most positive outcomes for the most people. People have this idea that you don’t make money if you’re not helping people. Now, you may be helping people achieve something that is not actually good for them in the long run, like those things can happen. But you don’t build a sustainable business, if you’re not creating outcomes that people want. It’s just not possible. That’s not how the world works. And so, it took a while. But i developed this program. I taught it. I had thousands of people buy it and follow my instructions, and get great results, which is unusual. And I didn’t realize it at the time. But all my background in the world of education was playing into this. And I knew how to build courses that actually get people results, as opposed to just dumping lots of information on them. And that’s where I have the idea for my second successful course came again for my students. Because a lot of people went through this program, and they started seeing really great results. And I started getting a lot of questions for my students. And they were different phrasings of the question. But between the lines, they were all asking the same thing. They’re basically saying, “Now that I know how to write a good guest post, and get it published on a big blog, does that mean I know everything I need to know to build a successful online business?” And my response, that was always like, “Well, no. Of course, not! Why would you think that?” There’s so much more to it. And this is like, we’re fast forwarding a couple of years. Business was doing pretty well. So I did have a lot to teach on this. And I was like, “You know what, people are asking me for it so much. I think I’m going to develop training.” And there’s a whole process when I pilot the ideas. But I eventually launch the training, teaching people how to do exactly what they were asking me to teach them how to do it. And so, lo and behold, it did well. [0:35:51] Chris: I’m laughing now because I do it over and over. And it sounds so obvious that I’m like, “Oh, how could he had not seen that?” And then I’m going through all the different times in my head when I didn’t see exactly what people are asking. And then I just have to laugh instead of cry, so. [0:36:08] Danny: Whenever you have to make that choice, it’s always better to laugh. [0:36:11] Chris: Always better. So let’s talk about “Teach and Grow Rich” a little bit. So this is the new book, the second edition which I read and it’s excellent. And I love it. But before I even get into the book. The story behind how it came to be, you talk about usually an idea becomes a book proposal. And that eventually leads to a deal with a publisher. And the drafts are written, edit, revise. And if all goes well, appears on the shelf 12 to 18 months later, which actually, the way you describe it there, is actually probably pretty quick in a lot of instances. That might be, if everything goes perfectly. So I think it can be like a 36 month process sometimes. So how did this book come about because it didn’t happen like that. It hit you and you took action. But walk us through that real quick. [0:37:00] Danny: Yeah. So the context there is that following that same pattern, a lot of people had started asking me to teach them how to build and sell courses, which I’ve done a lot of by that point. And not just how to build and sell any course, but they are coming to me and saying, “You know, I’ve taken a lot of online courses. And I got results with yours when I haven’t with many others. Can you teach me how to do it the way you do it?” So I’m making money and helping people which is sustainable. And so I kind of got into that space. And kind of started digging deeper and deeper into the context that makes this opportunity possible and interesting. And it’s fascinating to me. Now, I’ve always been interested in education, as I think as kind of emerging from our conversation. I have a very low opinion of the way education is traditionally done. But I think education is incredibly important. And I started to just have ideas that I wanted to share about the context for this opportunity. There’s a lot of how-to stuff, how to launch a course, how to build an online business, very step one, step two, step three. But there wasn’t a perspective for the thinking person who wants to understand the market place in the world that they’re operating in. And so I was like, “I think I have something to say on this.” And essentially, the first edition of this book was 13,000 words, which is not long. It’s like a manifesto. It’s like, “Here are my ideas, here’s how I see this space.” And I had to make a choice, which was, “Do I go the traditional publish route?” In which case it probably that manifesto would probably be published now, which was 2015. Or do I say, “Screw it, I want to get this out into the world. I think this message is timely. I’m self-publishing.” And so I did the latter. And I published that book in September of 2015. So rather than kind of working on this project in a cave from then until now, I put out into the world and tens of thousands of people downloaded it and read it, and acted on the advice and communicated with me. And I got to learn a whole lot more about this opportunity, about this space in which was opportunity functions. I got to work with thousands of my students who are building courses and learn a lot more hands on from their experience. And all of that together, I was like, “You know what, I think it’s time to expand on what I wrote in that first edition.” So time for the second edition. And sometimes you see a second edition of the book, and it’s really just an excuse to sell more books. It’s like the same book with a new foreword. That’s all this is at all. Some things have just changed and I’ve updated that. But I’ve added and expanded so much. The first edition, like I said, 13,000 words. The second edition is 43,000 words. So it’s literally more than three times as long. I’ve added a ton of “how to” and case studies and examples, and more context. Therehave been some really interesting developments in the world of online education over that year and a half or so. So that’s kind of the context. [0:39:43] Chris: I feel like you’re appendix is, alone, over 13,000 words just with all the different case studies. And then your story, which I found fascinating, you put all the way at the end, so it wasn’t all about you the whole time. But I feel like those are over 13,000 words alone. [0:39:59] Danny: They’re just about 13. I’m thinking 12,000 or 13,000, yeah. [0:40:02] Chris: OK. I wasn’t counting. But it felt so. In the book, you lay out the online course opportunity, or what you call the “Teach and Grow Rich opportunity”, and basically, how it’s reshaping just the overall business landscape online. But you point out how it straddles these two contradictory business models. Can you talk a little bit about those two, the paradigm of information and paradigm of education, and why that’s not sustainable? [0:40:30] Danny: Yeah. Absolutely. So there are two models for the commercial delivery of content and ideas. There’s the paradigm of information, and there’s the paradigm of education. And both of them are valuable. Both are important. Both have their place. But they’re different. So information, let’s look at the real world analogue, and that is a book in a book store. When you walk into a bookstore, you find the book that purports to have the information you’re looking for. You go to the registry, pay for it. And you typically don’t pay a lot of money for a book. Books are not expensive. And that is representative of how information is. Information in the world is typically free or cheap. And you buy it, and it’s yours. And from the point where you’ve paid for that book and you’ve walk out of the store, nobody owes you anything, not the bookstore owner, not the author, not the publisher. You got what you paid for. What you do with it now is totally up to you. Now, let’s contrast that with education. You can’t buy a diploma the way you can buy a book. What you can buy is your place in an educational experience. You can enroll in a course. And what you’re buying essentially is the opportunity to earn that diploma, the opportunity to learn. And unlike with the book where the responsibility for your outcomes is solely on your shoulders, you’re still responsible but not alone. So is your teacher. Responsibility for creating success as a student is shared in partnership between teacher and students. And that’s the key difference. That’s why education delivers much more of a transformation. That’s why more has to go into education to deliver that transformation. And that’s why education comes at a premium. People pay enormous amounts of money for education for good reason. You know, both of these are important. But they serve different functions. Information is great for expanding our horizons, for showing us something that is possible that we did not know is possible before. It’s also great for giving us new knowledge that we can integrate into existing expertise. If you’re an expert e-mail marketer and I show you three new e-mail structures, you’ll understand how to use those. But they’re not good. Information is not good at taking you from a certain level of capability to a higher level. Nobody expects to learn something meaningful to become expert at something from reading a book. For that, you need education, which is typically a much more interactive experience. Now, the difference between information and education, it’s not about media. It’s not that one is text and the other is a video. It’s not necessarily about support, although often education will come with a lot more support and interactivity. It’s about that partnership. With information, you put it out there, people do with it what they want. With education, it is a responsibility of the educator to craft the experience and include with the experience whatever will reasonably take for the student to be successful. And because of that, information is cheap or free. And education is expensive. Now the challenge in the world of online courses, which is an emerging market, it’s still quite nascent, is that often there is information being sold for prices that only makes sense for education. So I’m talking about the “course” that is a bunch of videos in a membership site, where it’s being sold for thousands of dollars, even though there is no cost of fulfillment and no support and anything like that. And people are becoming very frustrated and disillusioned. People are much less willing to spend thousands of dollars for just information, as they should be. There’s no good reason for them to do that. And so for people who will continue to try to do that. They’re going to see the bottom fall out from under them. We’re already seeing that. It’s getting harder and harder to succeed in a business following that model, unless you have some very unfair advantages working for you. And if you do, you know, ride it as long as you can ride it, if you want. But it’s not sustainable. On the other hand, people that recognize this is the division that’s happening and go one way or the other, and either they produce premium information at a low price, or free which is great as a way of building your brand. It also can be great as a revenue model if you have massive reach. If you’re a big celebrity, for example, that will work. Or creating premium education experiences, courses that actually create transformation and charging a premium for them, but not kind of trying to straddle both, not trying to deliver one for the price of the other. [0:44:35] Chris: So you lay out in the book the four kinds of educator entrepreneurs. So what I’ve really like is for people who are listening to understand where they fall into this, and why they should read this book, and just how much we’ll get from it beyond just like, “Oh, here’s how to create a course and create some videos and blah, blah, blah.” Because you go so much deeper in also giving actual tactics. So can you just talk about that? [0:45:02] Danny: Yeah. Absolutely. We have a profile assessment that is basically to figure out what kind of course creator are you. And the context, the backstory of why we created this is that when I talk to prospective students, when I talk to people reading the book, one of the first questions I get asked is some variation of “Will this work for me?” Which is a very legitimate question. And I wanted to see, you know, who does this process work for? Who does it not work for? Are there categories of people this doesn’t work for or what? And so we did an analysis of our successful students. And we found that they fall into one of four categories. And what was interesting to me is that I’ve never met somebody who doesn’t fall into at least one of these categories. And that’s important because that tells me that anybody who wants to do it and where there’s a business argument for them to do it, because just because you can do something, doesn’t mean you should. But for everyone who wants to do it, there is a path to success. The path just looks a little different depending on what you’re starting with. So there are two dimensions: one dimension is about your relative level of expertise. You could be the world’s leading authority, decades and decades of experience, seven PhD’s, 12 best-selling books under your belt, et cetera. Or relatively a much lower level of expertise, maybe you’ve only been in this space for a couple of years and you know something that other people don’t. And that is the only prerequisite to being successful, building and selling online courses. You have to know something that others don’t that would be valuable for them to learn. But relatively speaking, lower level of expertise. And the second dimension is relative degree of monetization. So maybe you’re already making tons of money from this expertise. Maybe you’re not making anything at all. And so two dimensions, two options, you have four profiles. So if you have high expertise and high monetization, you’re what we call the professional. This is your high-paid coach or consultant or speaker, someone who gets paid hundreds, if not thousands of dollars an hour to consult or advise, or tens of thousands of dollars to get on the stage and talk. They are recognized leaders and authorities in their field. They’re paid a lot for their time and energy. But much of what they do is directly linked to their time and energy. And so they’re very interested in building and selling courses as a way of diversifying their revenue and impacting people at scale without having to get in a room or get on a plane. Then you’ve got people who have high expertise but low monetizations. They know their stuff. They’ve paid their dues. But they’re not making a lot of money. This is your expert category. These are typically university professors who know their stuff very well, but are not super well compensated. They could be bloggers. They could be people who built followings on topic largely as a passion project. And what they’re looking to do is cash in the value of their expertise as a way of making their continued investment of time and resources, and it’s sustainable to keep on going further. Now, what if you don’t have a high degree of expertise? What if you’ve only been in your field for a couple of years? So if you’ve been in your field just for a couple of years, but you are making money for it, that’s the journeyman. That’s someone who, maybe they’ve been working in this field, like in a job even, for a couple of years. Maybe it’s a side hustle. But they’re trying to see revenue. And they have nose-to-the-grindstone, feet-on-the-ground perspective that’s really compelling to prospective students. What they’re looking for, of course, is diversifying and growing their revenue. And they’re very well positioned to do that. And if you have low expertise and low monetization, you’re what we call the “insider”. This is someone who’s been taking classes for a couple of years, or just gotten to a hobby recently and really likes it. This is your hobbyist, your aficionado, someone who has an inside perspective on something that outsiders who have not yet gotten into it would be interested in. And, of course, they’re looking to reach more people, grow their influence and authority, and make a living in the process. The powerful and important thing about these four profiles is that, yes, each one has a slightly different path to success. But each one does have a path to success. Everyone that I know and has met would fall into one of these categories you can’t not fall into any category. And I was very gratified to see that when we did the research I included in the book, because I wanted to help people see that, “Well, I don’t have a lot of teaching experience” or “I’ll be subject matter expert at the level I think I need” or “I’m not a great marketer.” These are all excuses that don’t really matter, as long as you know something that other people would benefit from learning. [0:49:19] Chris: Yeah. And where can people take that free assessment? [0:49:22] Danny: There is a link to it in the book. And I’d love to share the link, but I can’t remember it off the top of my head. [0:49:26] Chris: I’ll give it to you. It’s www.mrse.co/profile. I’ll link it up in the show notes. And the interesting thing is it seems like, I guess, it’s like a number one draft pick in basketball or football. And like you think that the professional, it’s always going to work and they have such a huge advantage. But I think from both of our experience we’ve seen, where the insider, the one without a lot of experience or expertise necessarily, but just a lot of passion, how often that they can become the giant success stories is a really interesting thing. [0:49:26] Danny: Absolutely. And I want to acknowledge people’s hard work and people’s challenge. I’m not saying that if you have a million dollars in the bank, and a hundred thousand followers, it doesn’t matter. Of course it matters. Of course, it’s easier to have those things. But we play the cards we’re dealt and we work from where we are. If you’re the professional. If you get on stages every day, and you’re paid tens of thousands of dollars to speak, and you have an e-mail list of 80,000 people, wonderful. This is going to work very well for you and very quickly. But if that isn’t you, and that’s not most people, and the reality is that everyone started without those things, this is still a path that you can walk, that you can be very, very successful at. [0:50:42] Chris: Right. Because I know we’re limited on time, but where would I start right from here? So if I’m listening in my car or wherever, or I’m like, “Oh, yeah. I fit that.”, whatever that is for you in terms of whichever profile. Or you take the profile quiz and you’re told where you’re at, so where do I start? [0:51:02] Danny: What I would want to encourage everyone listening to this, if you’re hearing this and you’re like, “This sounds cool. I think I want to do this.” Is start by getting the book and digging in a little bit deeper. The second edition is coming out at the end of January. So depending on when you’re hearing this, it might be very sooner or it might have already happened. If you’re listening to this like as the episode comes out, we’re doing a pre-launch or pre-order setup for the books. If you go www.teachandgrowrichbook.com, you can do two things. You can put your name on the notification list, so that when it does go live, we’re going to make the digital version free for a little bit, you know, get that. You can also pre-order a hard copy of the book and get a whole bunch of bonuses. 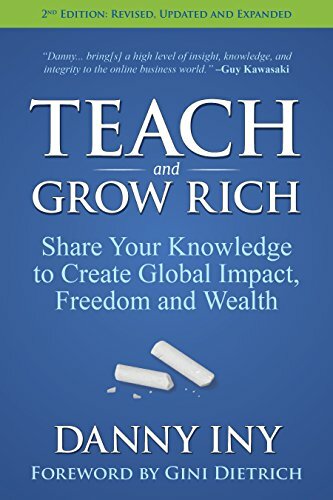 And as a special gift to listeners of this podcast, in appreciation of you bothering to listen to me for the last hour, the first 50 people who go www.teachandgrowrichbook.com and pre-order a copy of the book with the coupon code “success” will get it for free. So you’ll get one copy of the book, a bunch of bonuses, and I’ll cover everything. [0:52:01] Chris: So I’ll link all that up. And can you give that URL and code once more, because that’s an awesome offer. [0:52:08] Danny: Absolutely. It’s www.teachandgrowrichbook.com. And you just checkout as normal to pre-order the book. And where there is a place to put in a coupon code in the checkout process, you put the coupon code “success”. And the first 50 people who do that, your order will be reduced to zero. You’re still going to have to put in the credit card because that’s just how our shopping cart works. We couldn’t make that not be the case. But you won’t be billed anything. You just pay shipping or something like that. [0:52:37] Chris: Right. That’s awesome. Let’s finish up with some quick final questions before everyone runs out and gets that book. And as I’ve told you, and I read through and I learned a lot, and this is something that I feel like I’m kind of in the middle of in terms of online education. And there was lot of things where I was like, “Oh my god. That’s a great idea.” So, yeah, I highly recommend it. And I love the appendix, all the different case studies and the way that you teach and just seeing you out in the wild, so to speak, and the reputation you have as somebody who is there for people and likes to help people. And I feel like that’s really your mission is to help people to go further. So it comes across in the book and I’d highly recommend it. [0:53:23] Danny: Thank you. Thank you very much. [0:53:26] Chris: So what was the last thing you did that scared you? [0:53:28] Danny: It’s a great question. And I can’t share the specifics, because they’re confidential. But I had a situation come up where I just had to take some pretty drastic action pretty quickly. This is literally like 48 hours ago as we are recording this. What I’ve learned over the years as an entrepreneur is that when a situation comes up and you’re like, “This is going to be awful. This is going to be awkward.”, the longer you put those things off, the worse it gets. And your job as an entrepreneur, as a leader is to lean into those difficult situations, a mantra for me is that, “Anything that needs to be done eventually should be done immediately.” And often, that means stepping into a situation that is scary and you’d rather avoid. But that’s how you get stronger. And that’s how you make situations better rather than worse. [0:54:15] Chris: I love that. Wow. There’s some great advice wrapped in that. And that’s definitely been the case for me. And it’s interesting because just like when you were talking about the obvious things and then a few things hit me right. Well, you’re saying them, “Oh, I should take action in those immediately.” So thank you for that reminder. One final question. What do you think most often prevents people from becoming successful and really living up to their potential? [0:54:42] Danny: An unwillingness to take imperfect action. Imperfect action beats a perfect plan every day of the week. [0:54:49] Chris: Love it. Give us that URL one more time where people can learn more about you and get your new book, “Teach and Grow Rich”? [0:54:57] Danny: Absolutely. 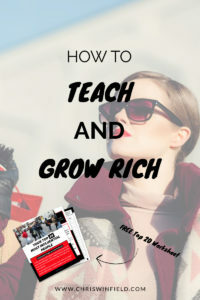 It’s www.teachandgrowrichbook.com and the coupon code is “success”. And thank you for having me. And here’s to the success of everyone who is listening. Thank you all. [0:55:09] Chris: Thank you so much, Danny. It was an absolute pleasure and I can’t wait for more people to learn about you, read this book, and start to create some amazing things online. We need them. Danny’s a great example of someone who continues to do the next right thing, persevere, and now helps others to do this aim. For all the show notes, links, resources, books, and also the special offer that Danny mentioned, head down over to www.chriswinfield.com/11 to get everything from today’s episode. If you enjoyed listening to this episode of my new podcast, then please support the show by leaving a subscribing on iTunesand leaving a review. It’s easy and takes about 30 seconds to do!